Atharvaa has been keeping himself quite busy with multiple projects namely 100, Othaikku Othai, and Kuruthi Aattam post the success of his recent Imaikkaa Nodigal and one among them is the upcoming Boomerang, which got wrapped up at a rapid pace. Boomerang also stars Megha Akash, Induja, Upen Patel and Suhasini Maniratnam with Atharvaa making a colossal effort by tonsuring his head for his role in the upcoming political drama for which director Kannan issued a statement saying, “The entire industry knows about Atharvaa being a director’s actor. But that didn’t let me open up my request on tonsuring his head. How fair it would be to ask an actor whose calendar is laden with back to back projects? 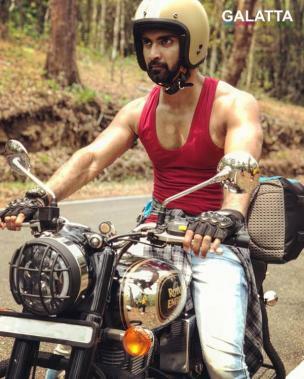 Eventually, as I explained him the depth and intensity of three different looks, Atharvaa became more adhered to it. In fact, even when I was filled up with some reluctance, he just gave a staunch surprise of instantly going for it,”. Kannan further adds, “As, I have already spoken about it, Atharvaa had to spend hours and hours for this prosthetic makeup process. Having going through such a wringing process, any actor would love to just sprawl out and relax, but he instantly leaped up to tonsure his head for a specific episode in the film. We decided to shoot this portion by the final schedule, which happened for 5 days at a private hospital in Chennai. But the greatest part is Atharvaa sacrificing two months of busy phase waiting for his hair to grow so that he could resume other projects. But I am sure; audience will offer him the best credits for unleashing such high potentials as an actor after his recent attempt with Imaikkaa Nodigal,”. >>Megha Akash's New Romantic Song Is Here! >>Watch the new 3-minute memorable video from Boomerang! 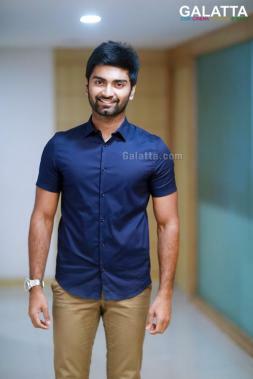 >>Atharvaa's most awaited film postponed yet again! >>STR heroine's new music video is out! >>Vantha Rajavathaan Varuven 3 days box office collections! >>STR And VRV In Full Swing! - Heading For A Grand Release! >>PETTA: Bobby Simha's Character Detail Revealed! >>Marana Mass: PETTA Official Teaser Is Here!